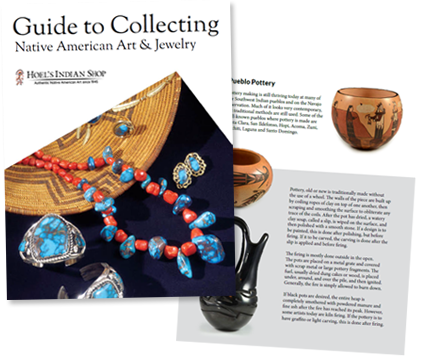 Ida Sahmie is a Navajo artist who married into a family of Hopi potters. Her husband is Andrew Sahmie and her mother in law is Priscilla Namingha Nampeyo. Ida uses traditional Hopi-Tewa pottery techniques painting her pottery with Navajo designs. 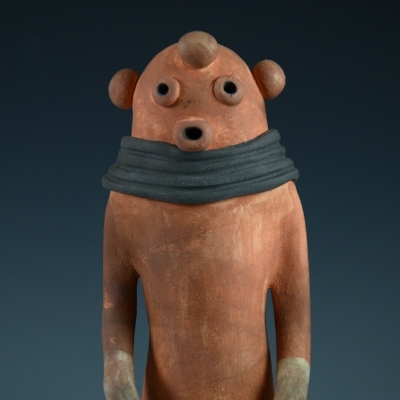 Handmade pottery mudhead kachina by artist Michael Kanteena.